In recent development of educational technology, Games-based learning (GBL) or Serious Games (SG) has shown its potential to support learning. Compared to eLearning, SG is considered more fun to use because of its interactivity. However, this advantage does not come without a cost that needs to be considered. It is considerably more complex to design an SG application than it is to design an eLearning tool. It involves not only the resources required to design an enjoyable game but also a pedagogical design which can be implemented through the game and is suitable for the efficient delivery of a given subject matter. In eLearning, learning materials constitute the required resources which are then managed and presented by web scripts. However, in SG, the resources include graphical and non-graphical assets of the game as well as the learning materials. The assets can include text, diagram and 2-dimensional (2D) and 3-dimensional (3D) objects. These resources are usually designed according to the story and environment design of the game. The learning content must fit the game story and the environment so the learning content falls within the context of the game. The game also requires an interactive system that allows the player to input, interact and manipulate objects within the game environment. This system usually involves scripting and programming. It is not an easy task to combine all these elements and consequently the development of an SG application requires more time and effort than does one for eLearning. Commercial games are usually developed using complex game engines and tools. Some of the game developer companies have released game engines and tools that allow modification of the original game. The variant of the original game is called a ‘mod’. The ‘mod’ is usually subject to commercial restrictions. However, modding is one of the potential solutions for the SG developers to create an SG application which looks like commercial games in considerably faster way. Since this facility was first introduced, there has been a growing interest in modifying or ‘modding’ commercial games and there are now numerous online communities dedicated to various types of ‘mods’. One of the best-known ‘mods’ tools is NeverWinter Nights 2 (NWN2). The tool has pre-defined graphical assets and basic functions which allow the developer to create a satisfactory 3D RPG game for educational purposes. The NWN2 engine and tool also allow scripting which makes it a flexible resource for the developer to create new functions when required. As an example, a SG application which is used to teach Structured Query Language (SQL) has been developed by the author. SQL is the standard database programming language and it is one of the essential skills required in information technology. 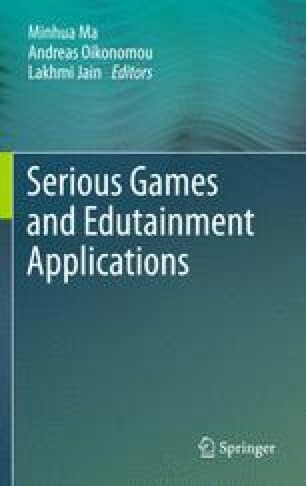 In this chapter, the development life cycle of SG and commercial games ‘mod’ tools currently available will be discussed. The chapter will then examine the design and development of an SG application to teach SQL.